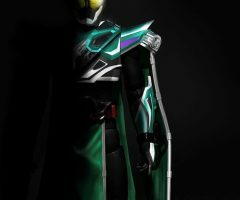 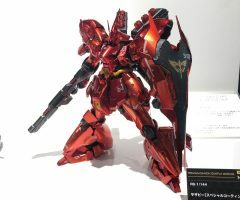 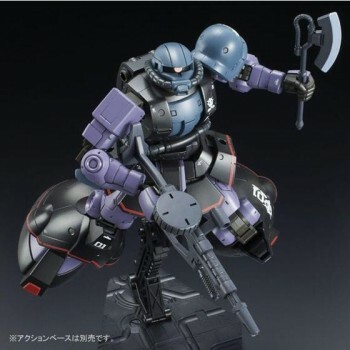 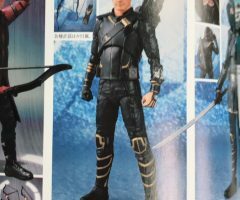 981-DX 黏土人 志摩凜 DX Ver. 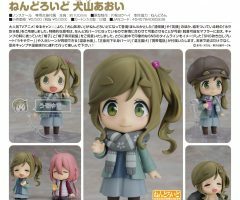 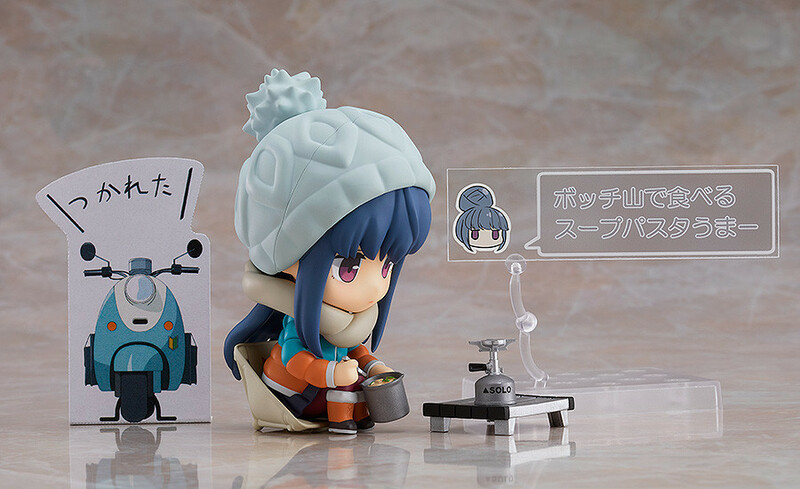 981-DX Nendoroid Rin Shima DX Ver. 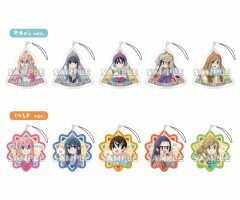 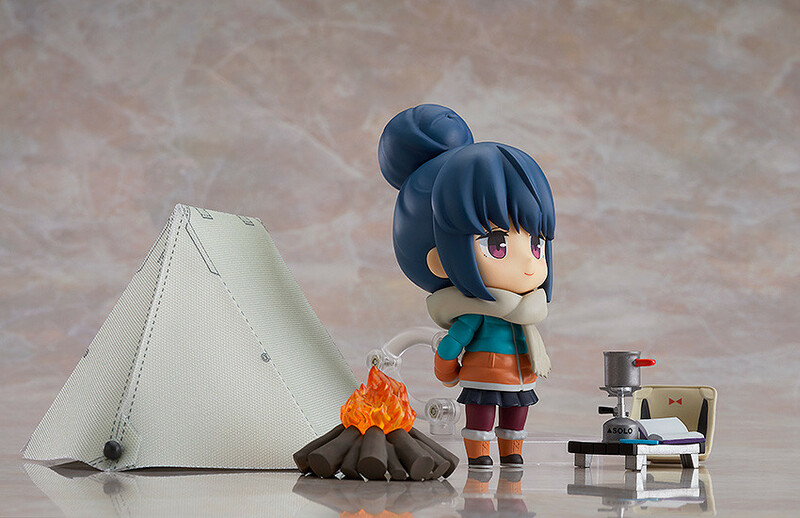 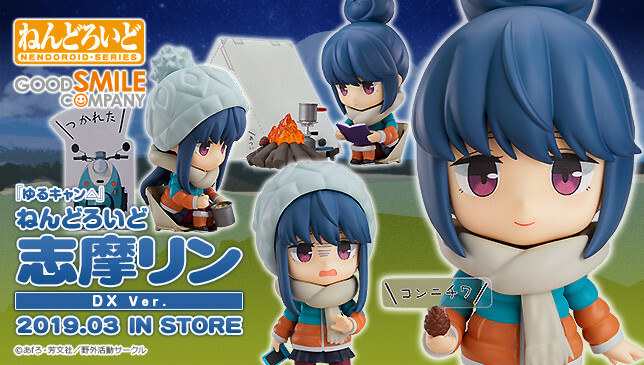 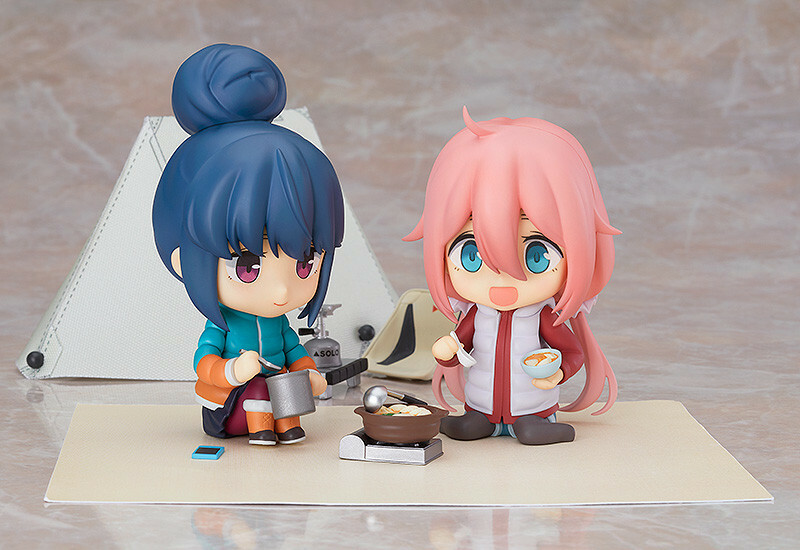 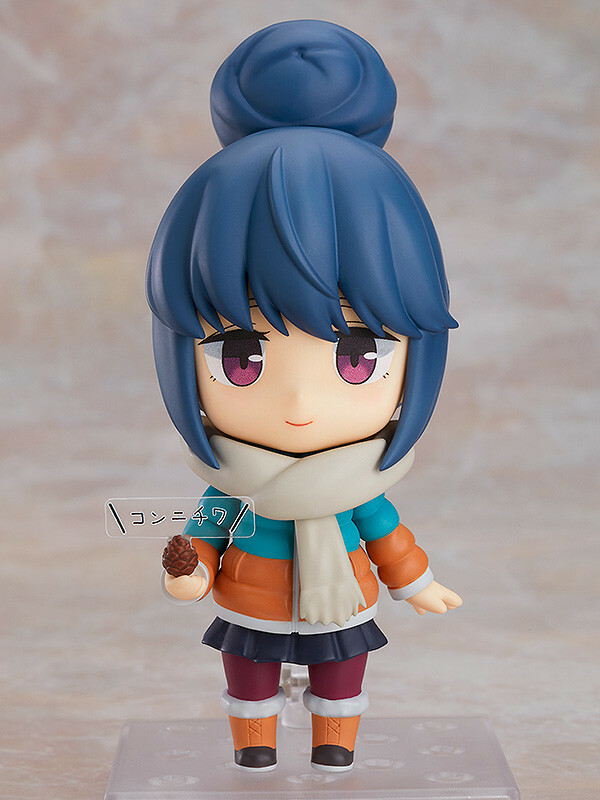 From the popular anime series, “Laid-Back Camp” comes a Nendoroid of Rin Shima in a DX version with loads of camping equipment parts! 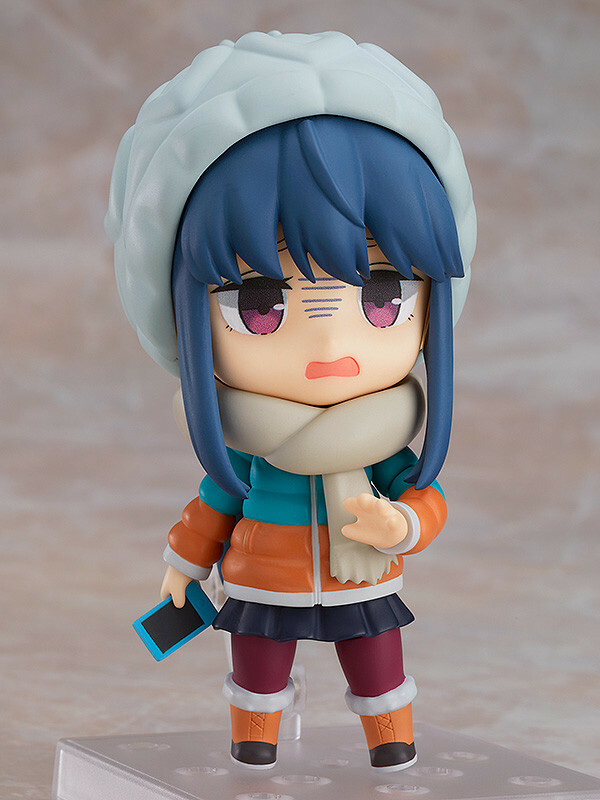 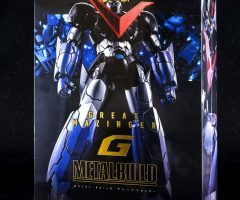 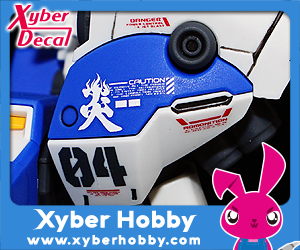 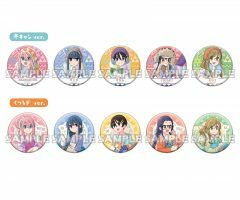 She comes with three face plates including a cool standard expression, a smiling expression, as well as a displeased expression, holding no emotions back! 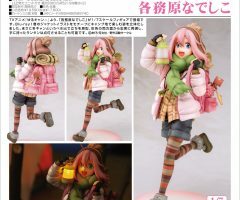 She also comes with a detachable scarf, along with a bun hair part to display when her hat is off. 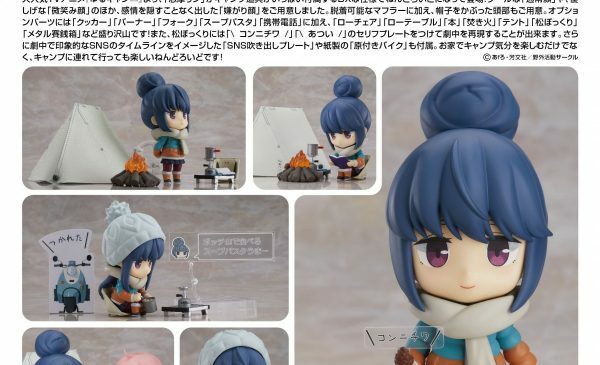 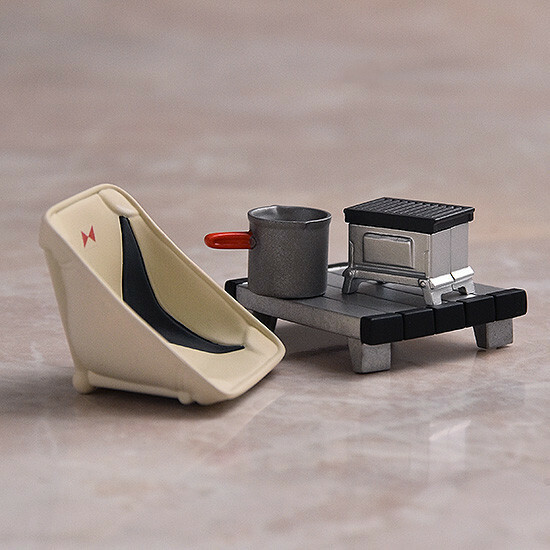 She comes with several optional parts including a pot, camp stove, fork, the soup-style pasta she made in the show and a cell phone. 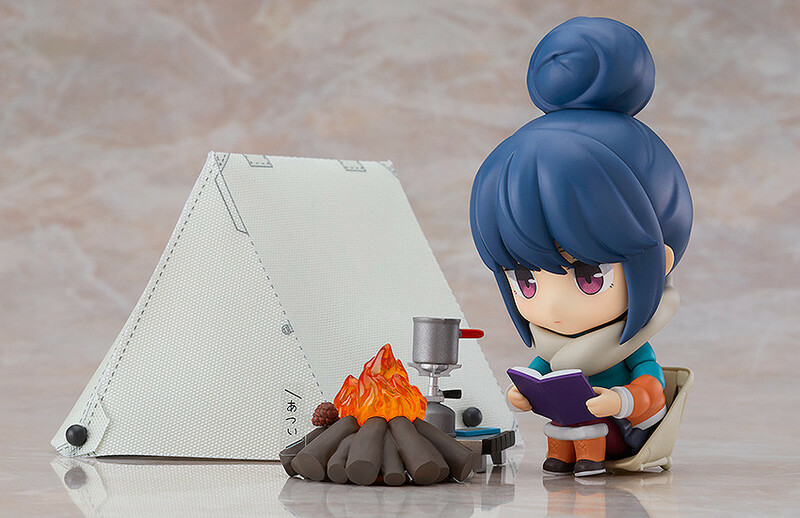 Additionally, a low chair, low table, book, campfire, tent, pinecone, and metal box grill are also included! 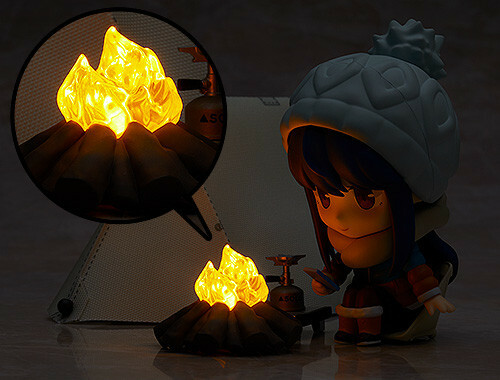 Phrase plates that say “Hello!” and “Hot!” are also included to attach to the pinecone, so you can recreate your favorite moments from the show! 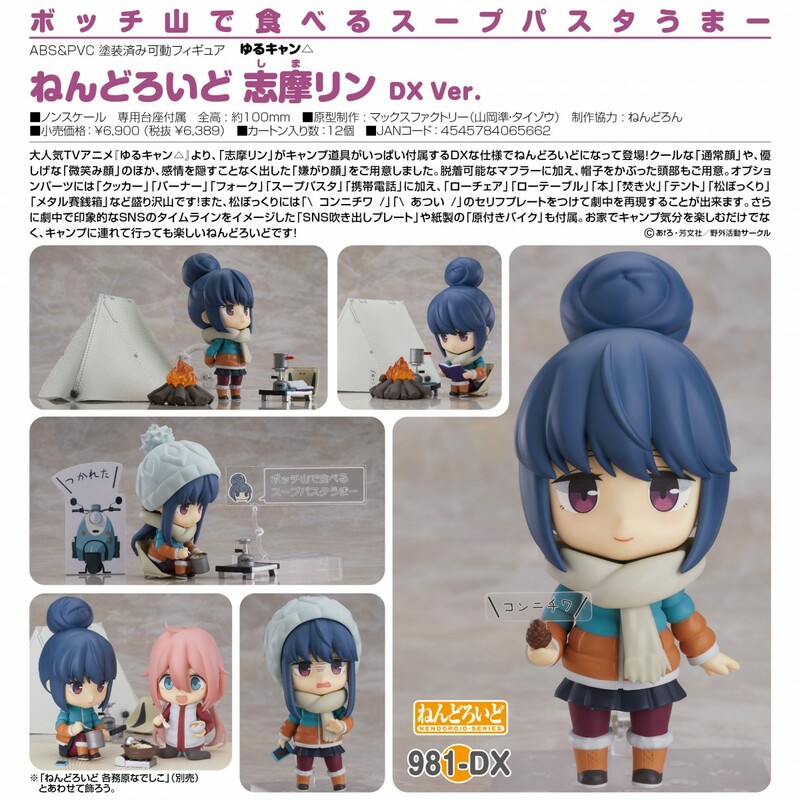 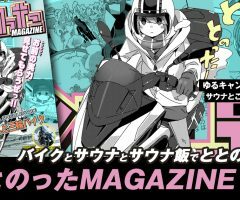 981-DX ねんどろいど 志摩リン DX Ver.